Are you interested in pursuing an art business course? 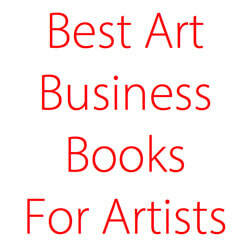 Do you want a regular injection of art business savvy? Do you recognise that your art school training or experience in the fine art world to date has left you with a deficit in terms of knowledge and skills relevant to the art business world? This article Learn about the art world with a master's degree by the Guardian (2016) provides an introduction to the nature of the courses and what they have to offer to an art school graduate. Typically these courses are for people with determination and dedication who are not averse to hard work - because they can be one year courses which cost a lot of money. You will analyse legal concepts related to the art market and art market transactions including: contracts, taxation, title and restitution, authenticity, expertise, freedom of expression, intellectual property and copyright. You will also be introduced to international regulatory frameworks such as UNESCO and CITES. A full time 15 month Masters Degree costing c.£36,000. It's an intensive courses which focuses on bringing together the disparate subjects of Art History and Theory, Art Law, and Art Business. The courses involves students being taken to international art fairs to see what happens. designed for newcomers wishing to gain in-depth knowledge of all aspects of art business as well as giving access to up-to-date information and new analytical methods for those already in the art world as professionals. Art Schools traditionally have not been very good at teaching artists about the business of art. Some have been addressing this of late. ​The Business of the Visual Arts (Short Courses) | City University - designed for emerging artists, potential or new gallery owners, and individuals interested in working in the visual arts. The Abundant Artist - written by Cory Huff who provides lots of good advice about marketing and selling art. His aim is to dispel the starving artist myth by using the Internet. He also has a libary of free content for those who register. Art Biz Blog - by Alyson Stanfield - has been around forever and has lots of fans. Tends towards the short and snappy. Back catalogue is accessible via her search function. Artists who Thrive - by Ann Rea - a number of interesting long articles, often with a different perspective on the art business and marketplace. However I can't find an archive or a search function so you're limited to what is visible unless you subscribe. There are LOTS of blogs which focus on generic business skills - and it's worth taking a look around and noting which seem to be the most popular and most educational. I find them as helpful - and sometimes more so - in relation to matters which are not specifically about the art business. Which blog is your favourite? These are Facebook Pages created and maintained by those who write regularly on the Art Business. I've divided them by geography. WRITE TO ME - using the form - if you know of any art business course or blog which you think should be listed above - and tell me why you think this.